With the American President-elect Donald Trump seemingly rather more disposed to engage with Russia President Putin, the mainstream media has continued its confused stance about handling or understanding what is happening within Russia and the mindset of President Putin. A decade of flawed foreign policies towards Russia have left the Russians a nation under US and EU sanctions, military tensions, and fundamental differences about handling international terrorism. These have been compounded by Russia’s annexation of Crimea and the continuing unsettled environment in the Ukraine. There is no doubt that Russia has also behaved very badly at times – the poisoning of dissident Alexander Litvinenko by using toxic nuclear substances in London was a grave offense committed upon the soil of what had at that time been a fairly tolerant attitude in the UK towards the Putin regime. It has been downhill all the way since, with the Russians often complaining about Western aggression towards it. In return, Western media has portrayed exactly the same of Russia. Yet a closer look and an examination of history books reveals a rather different story. This has to be examined against the background of war. Russia suffered terribly during invasions by Napoleon and more recently the Germans in WWII. About 26 million Soviets lost their lives in the latter conflict, by far the heaviest casualty of any participating state and about a third of the total. Cities such as St.Petersburg and Stalingrad were blockaded for years, with horrendous civilian losses. It is under such conditions that Stalin negotiated with the United States and Britain what was to become the partition of Europe – with Poland, Bulgaria, Romania, Hungary, Moldova, Slovakia, Slovenia, the Baltic States, Czech Republic, Eastern Germany, Ukraine and the Caucasus to the West all being drawn in as de facto ‘buffer states” to better protect the Russian Motherland. That “Iron Curtain” divided Europe into two halves, the West, supported by the United States, and the East, supported by Russia. That remained the status quo until the collapse of the USSR in 1991. The European Union economic zone at that time consisted of just eleven nations. By 2004 it had expanded to include nearly all of the ex Soviet states, switching the balance of regional power away from Moscow and instead towards Brussels and Washington. These States also joined NATO and pushed the EU and US-financed military right up to the Russian border. Moscow has effectively found itself in the same position as it was at the end of World War 2, and is alarmed. It is not really surprising that when NATO troops seek to place battalions and rocket systems in Eastern Poland that the Russians begin to question what is really going on. In essence, the Ukraine was the bread basket for Russia during both Imperial and Soviet times, fertile, large and productive. The Crimea was incorporated into Ukraine in 1954, having previously been part of Russia since 1921. Its relationship with Russia, and indeed Ukraine goes back centuries. The Imperial Family and Soviet leaders had summer Dachas there. With the Soviet breakup in 1991, the Ukraine was recognized, for the first time in its history, as an independent state. However, corruption and a desire to join both the EU and NATO proved too much for Russia. The Ukrainian Government also treated the Eastern part of the country, including parts of Crimea, with some contempt due to their longer lasting ties with Moscow. Crimea meanwhile, although recently recognized as part of Ukraine had in fact been under Turkish occupation until 1783, when Imperial Russian forces annexed it. The famous “Charge of the Light Brigade” took place during the Battle of Balaclava during the Crimean War in 1853-56 between Russia, Turkey, Britain and France, with the Russians prevailing. It had remained Russian until the breakup of the Soviet Union (as had Ukraine). What has occurred since is partially the interference of the West and attempts to bring Ukraine into the EU and under NATO protection, which Russia is not keen to see take place. A similar situation exists with Georgia, now an independent State, but with leanings towards Europe and NATO. Given the previous history of these nations, in addition to cultural and geographical positioning, it is not difficult to establish why Russia has become alarmed at having a US backed European Union right on its borders. If there has been aggression, the Russian viewpoint suggests it has been with the extraordinary recent expansion of the EU and the claims that a Washington backed NATO has over EU members. The conflict here is largely of American making; partially designed to keep Muslim insurgents busy overseas rather than in the US, as well as being a fight over oil resources. However, it is also an internal conflict within the Muslim world between the Sunni’s (backed by Saudi Arabia and the United States) and the Shia (backed by Iran and Russia) which itself has been rumbling on for centuries. Historically, the Shia have been the more tolerant and liberal, embracing arts, and the Sunnis rather more strict. Both however have been guilty of outrageous atrocities in the name of Islam. Given that Russia is more impacted upon by Muslim fundamentalists and its territory than the United States is, it is possible to view the conflict as being invested in oil and energy resources by the United States, and national security concerns by the Russians. It is a de facto conflict between Saudi Arabia and Iran. The logical question is why the United States is involved at all given it is so far away from its own territory. Add in the issue of control of oil supplies, and an answer to why this conflict involves America is more easily understood. With the United States placing sanctions on Russia and urging the EU to follow suit (which they did) a curious impasse has arisen. The US in fact had little to lose, Russian-US trade was minimal anyway. But it has been a disaster for much of the EU. 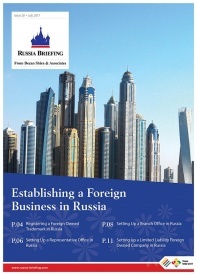 Russia was one of its largest trade partners and a major market for European products. The reaction by Russia to impose its own sanctions of buying product from the EU was predictable. All the EU politicians have managed to do is to destroy what had been healthy bilateral trade, bankrupt thousands of European small businesses, and oversee a technology transfer of talent and expertise from Europe to Russia itself. 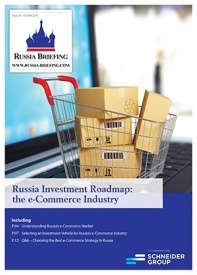 Barred from selling to Russia, thousands of EU entrepreneurs have now been flocking to Russia to form JV’s and make product that was previously exported to Russia, in Russia itself. Its not just accessing the Russian market and ‘becoming Russian’ that is behind these sanctions inspired moves, it is Russia’s low income tax rate of 12%, and their strict adherence to border controls and rejecting migrants, and is a little reported phenomena that I reported on here. Lucas dresses this up as if it were a bad thing. Personally, I cannot see what is bad about such an outcome. Instead, it demonstrates that much of the Western media clearly has no clear agenda or understanding of perceptions when it comes to Russia. When any positive outcome is seen as bad, it is apparent independent, objective journalism is non-existent on the subject. However, when it comes to the West, and its engagement with Asia, a resurgent Russia has plenty to offer. Russia itself has serious infrastructure investment plans, and needs to be able to access foreign capital to help it meet these. An obvious one is participation in the high-speed capabilities of parts of the Trans-Siberian Rail, with long term plans calling for the complete Moscow-Beijing route to be high speed. At present this extends as far as St.Petersburg to Kazan, extending it the entire route would considerably help with opening up deeper trade routes and commercial exploitation of the remoter areas of Siberia, much of which is productive but has lain fallow since the end of the USSR. That is of special interest to China, on the hunt for energy, commodities and food. For example, China recently leased 115,000 hectares of land in Siberia to grow wheat. 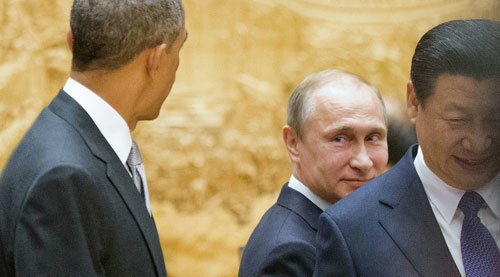 Vladimir Putin and Xi Jinping are leaving America behind when it comes to Eurasia. Will a new American President be able to catch up? 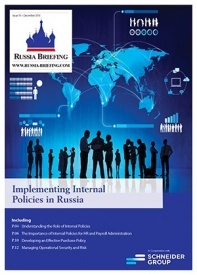 Part of this re-alignment of Russia involves tax reform and the introduction of Free Trade. A move to VAT based tax systems is already underway in both Russia and its economic union (the CIS) which when completed will make it easier to integrate common free trade among similar tax structured nations. This includes both China, and India, and is exactly what is currently on the agenda. China has recently proposed that an FTA is put in place between the members of the Shanghai Co-Operation Organisation a body who full members includes these three nations. Talks commenced at a senior level about putting this into practice at the recent meeting of SCO heads of states in Bishkek three weeks ago. Russia is also gearing up for this, and anticipated pan-Asian trade. It is now constructing a massive “Eurasian Transport Hub“ on the outskirts of Moscow. With China’s Silk Road ambitions being dependent upon Russian involvement, including diplomacy and security influences throughout Central Asia, Chinese influenced initiatives when aligned with Russia’s can transform the entire region. This has special impact upon Europe, which can benefit by financing, providing technology and become a large market for goods whose origin lies within Central and Far East Asia. It may yet be an irony that the EU consumers most likely to welcome Silk Road trade and be active participants in that commerce are the migrants that have flooded in from Syria and related countries. This wave of investment and free trade is also becoming increasingly sophisticated. 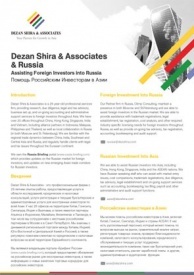 Russia’s DTA with Hong Kong comes into effect at the Hong Kong end in the middle of next year, allowing among other incentives the packaging of international financing for projects to be executed in Russia, and the investment via Hong Kong of Russian finance into China and Asia. It appears to have missed the American eye that the long stated goal of ‘free trade’ does not fit alongside that of ‘sanctions’. 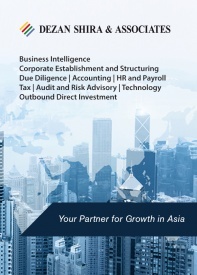 Indeed, these recent developments are already being picked up by Asian MNC’s. South Korea is investing billions into Siberia and I see this as a trend that will accelerate. 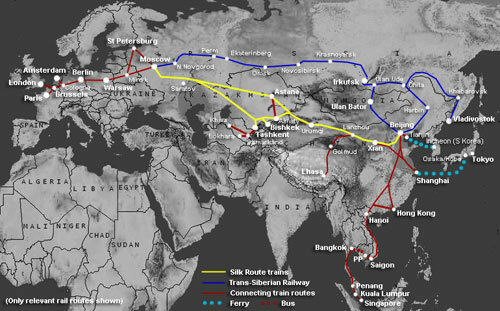 China’s Silk Road is opening up a new trade corridor between Russia and the Far East. With such wealth still remaining to be utilized, Russia is going to become an increasingly important trade and investment partner. That means not just for China and Asia, but for the EU and as been noted by Donald Trump, quite possibly the United States as well. Meanwhile, despite Russia being under sanctions, the economy has performed rather well. President Putin has been able to use the sanctions to encourage Russian entrepreneurs to do more, oligarchs to invest more, and the Russian people to tighten their belts more. There has been pain, but there are signs the Russian economy, is ironically poised to grow faster in 2017 than that of the EU. Russia has also used this period of austerity to pay down long terms debts and now has the lowest national debt in Europe. This has also been reflected in the performance of its PMI, now the highest for 19 months. The re-emergence of Russia, and indeed an realignment of its influence across the region is almost certainly a good thing. If the West can abandon the idea of further expansion eastwards of the EU and NATO, and reach agreement over Saudi Arabia and Iran, while agreeing to let Russia err on the side of history and keep Crimea, we can probably look forward to peace being brokered in the Ukraine, and less conflict in the Middle-East. If so, then all sides can then re-engage with the development of Eurasian infrastructure and the lifting of millions or people out of poverty throughout Central Asia. That, in turn, needs to employ some democratic recognition that strong Governance is required in volatile regions. Xinjiang Province for example has enjoying its most peaceful period since the end of World War Two than it has had for centuries. Lambasting the Chinese for real or perceived slights towards the Uighurs rather misses the bigger picture. The presence of China in Xinjiang – although it has on occasion been unnecessarily heavy handed – has also resulted in an area that has undergone significant redevelopment. Urumqi is now one of the wealthiest cities in Central Asia. Russia wants to have a role to play, and should have a role to play in defining the century. With Chinese pragmatism and financing, Russian involvement in the proposed Silk Road can help European and even American businesses take advantage of, earn money from, and participate in the greatest land infrastructure project ever envisaged since Tsar Nicholas declared the Trans-Siberian Railway open. That happened in 1916. A resurgent Russia, along with China, India, Central Asia and Europe have a chance to finally realize the ultimate aims of that ambitious initial vision: A Pan Asian, Pan Eurasian, interconnected market. Massive global potential can be unlocked by allowing the Russians and Chinese to participate without involving them in conflicts or trade disputes with the West. Wow. That is quite an analysis. Extraordinary work showing a rare balanced perspective. More from this writer please!